My first motorcycle. Honda Mini Trail 50. It's what got me started on my path to being the next Evel Knieval. Good little machine for learning the basics of cornering, jumping, and crashing. This is the first racing bike I bought. Honda CR250 Elsinore. I think I paid $200 for it. Saved for about a year. But, it was a good investment and got me on the circuit. My best friend in high school's dad owned the Honda dealership and became my sponsor. That was exciting. This is the bike I learned how to downshift three times while flying on my side with another guy under me trying to kick me and me trying to kick him at 70 mph. Sigh. Good times. The Suzuki RM500 marked my exit from Team McKinney Honda. I was going thru a severe Roger Decoster bromance at the time I was ready to move up in class and this became my dream bike. I managed to secure a sponsorship from the Suzuki dealer in the big city of Monroe, LA. Little did I know it was to be my undoing. I did well, but I was also starting college. I was fortunate enough to have a mother that helped me get my priorities in order, so 2 jobs, going to a college on the quarter system, and a pretty serious accident marked the end of my motocross career. I I couldn't let it go after I got out of motocross, so I decided to give Observed Trials a try. 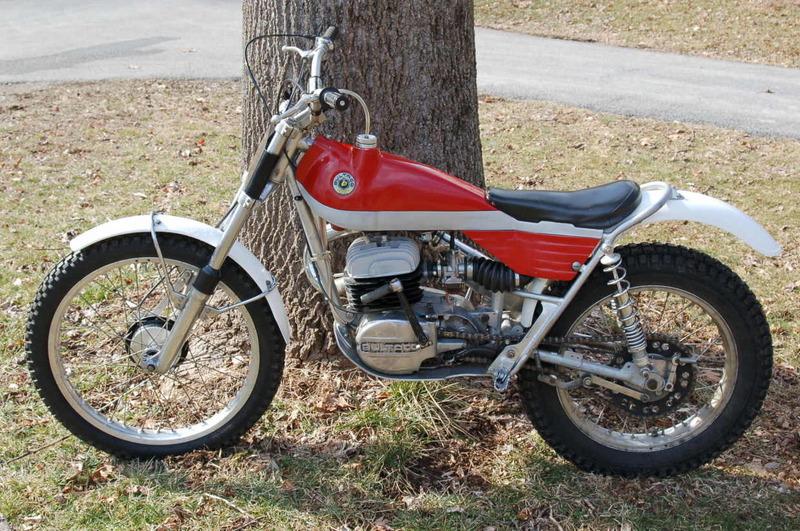 This little Bultaco was the pinnacle of trials bikes at the time. It was slow, so it received Mom approval. I got a few guys together to compete against, but ultimately, it just became a hobby and career became the focus. Leading to the fat, broke, boring specimen you see before you today. I can only imagine you in that bike if you were not as tall as you are now! Nice bikes!